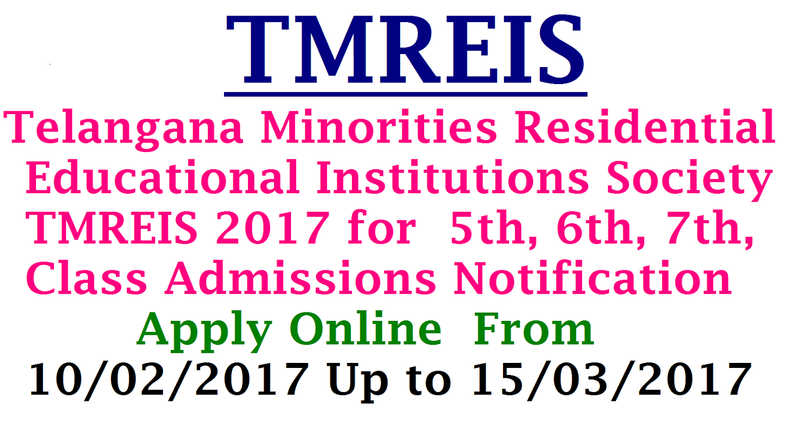 The candidates may submit application online in www.tmreis.telangana.gov.in website. The selected candidates have to submit two sets of hard copies at the district head quarters with required documents as mentioned in the list of enclosures. 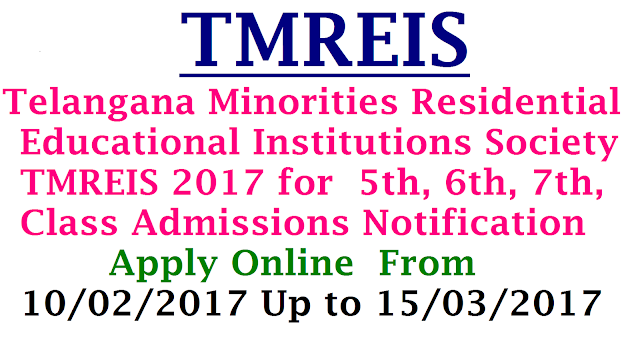 Right to admission / selection / transfer of students for admission into TMR schools is solely at the discretion of the Secretary, TMREIS. Admission Criteria: Admission will be given in the TMR Schools in the native district of the students studied during the academic year 2016-17.Annual Income:The parental annual income should not exceed Rs. 1,50,000/- for the parents from the rural area and Rs. 2,00,000/- for the parents from the urban area. The students seeking admission in V class should have completed IV class from any Govt., / Private schools. The students seeking admission in VI class shouldhave completed V class from any Govt., / Private schools. The students seeking admission in VII class should have completed VI class from any Govt., / Private schools. Applicants Should be born between the following dates. Amenities: Completely free hostel facility, food , medical facility, free education, Text Books, Note Books, (04) pairs of uniforms per year.